Medical Malpractice Help » Medical Malpractice Causes » Medical Negligence » What Happens If You Don’t Die From an Opioid Overdose? Several things can happen if you do not die from an opioid overdose, such as a higher likelihood of death later. According to the Centers for Disease Control and Prevention (CDC), 46 people die each day as a result of prescription opioid overdose, accounting for 35 percent of all opioid-related deaths in 2017. But what about those who survive? What happens if you ? According to a study published in JAMA Psychiatry, adults who suffer an opioid overdose—and survive—are 24 times more likely to die within a year from suicide, diseases associated with substance abuse, and other medical conditions. The American Journal of Managed Care® (AJMC®) recently conducted an observational study, looking at adults between ages 18 and 64 who suffered nonfatal opioid overdoses, but who died within one year of the overdose. The most common causes of death were disease associated with substance use, diseases of the circulatory system, and cancer. The disease rates were “significantly higher” for women, as were the rates of suicide. Did medical negligence contribute to your or your loved one’s overdose? 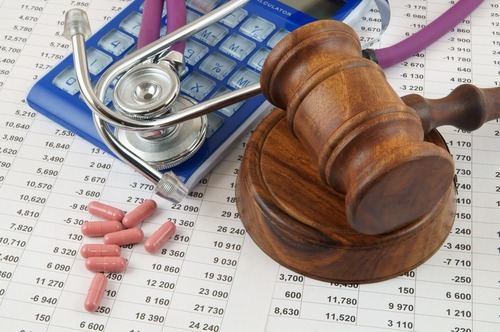 If the negligence of your doctor, the hospital staff, or another medical provider caused you to suffer an overdose, you may be able to bring a lawsuit against the responsible parties for medical malpractice. When a patient is suffering severe pain, opioids may be the only effective option. If opioids are necessary, the prescribing physician has a responsibility to safely prescribe the drug and ensure the patient is taking them correctly. They must also monitor the patient throughout treatment. In other situations, a non-narcotic alternative may be adequate to treat the patient’s pain. Even serious pain can sometimes be manageable with alternative treatments. When a patient has a history of alcohol or drug abuse, it is especially important to consider non-narcotic options. Monitor requests for prescription refills. Closely monitor patients who remain on opioids for an extended period. Seek alternative treatment options for individuals suffering from chronic pain. Opioid abuse can be a deadly problem. At Newsome Melton, we want to do our part to combat this deadly epidemic. If medical negligence is responsible for your injuries, you have a right to seek compensation for medical expenses, pain and suffering, and lost wages. You are not alone. Contact Newsome Melton today at 855-633-2757 for a free and confidential consultation to see how an opioid overdose lawyer can help you.